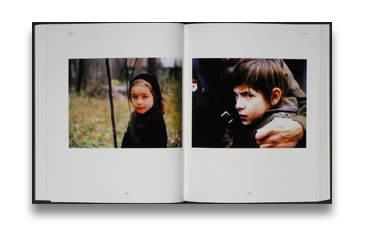 Films, Stills, Polaroids, and Writings. Schirmer/Mosel, 2013. 320 pp., 350 color and black & white illustrations, 9½x12". With his powerful, poetic, and often disturbing visual worlds Andrey Tarkovsky (1932-1986) was a seminal visionary. He is today considered one of the most important movie-makers of the 20th century. His masterpieces, such as Stalker or Solaris, are classics of Soviet cinema. To protect his work from future censorship, Tarkovsky never returned to Russia after the completion of Nostalgia, which was shot in Tuscany in 1983. His final film, The Sacrifice, was shot in Sweden in 1985, one year before his untimely death at the age of 54. Twenty-six years after his death, and in the year of his 80th birthday, Schirmer/Mosel is publishing the long-awaited first major monograph of this artist’s oeuvre. Compiled by Tarkovsky’s son, Andrey Junior, film historian and critic Hans-Joachim Schlegel, and publisher Lothar Schirmer, this opulent book is a tribute to the life’s work of this master director. In 288 breath-taking and incredibly compact film images taken from the film copies, the key scenes of each film are presented in detail. 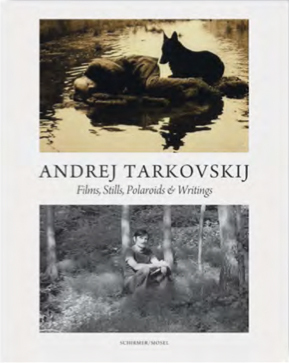 The expedition through Tarkovsky’s unique cinematic cosmos is complemented by a wealth of mostly unpublished material: a rich selection of Tarkovsky’s own writings, private photographs from the family album, and color Polaroids from his last sojourn in Russia and the shooting of Nostalgia in Italy reveal new backgrounds and come closer to Andrey Tarkovsky, the man. The introductory essay was written by Hans-Joachim Schlegel, the translator and editor of numerous writings by Tarkovsky. Well-known colleagues and supporters, among them Jean-Paul Sartre, Ingmar Bergman, and the film maker’s close friend Alexander Sokurov, comment on Tarkovsky’s work and person. Altogether, it makes for a many-voiced, visually and intellectually intriguing book that has no match in today’s film literature. Read Adam Bell's review of Andrey Tarkovsky on photo-eye Blog.